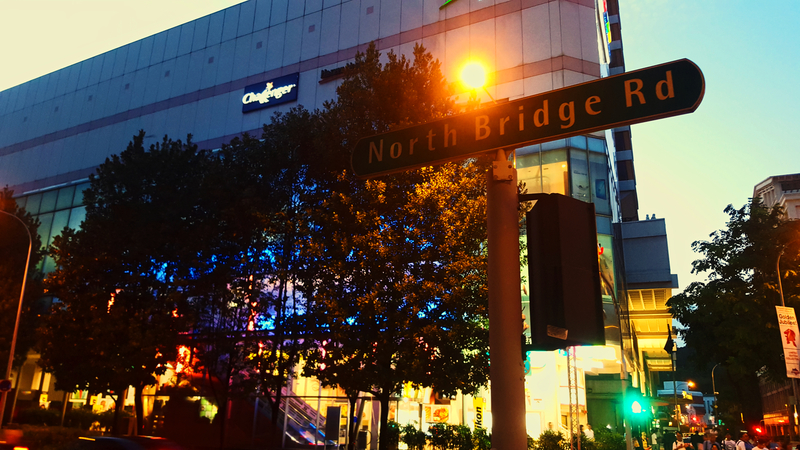 Opened in 1985 and situated on the former Hock Lam Street from which it derived its name from, Funan DigitaLife Mall (or Funan Centre back then) was (and still is, to a lesser extent) Singapore’s premier technological hub. 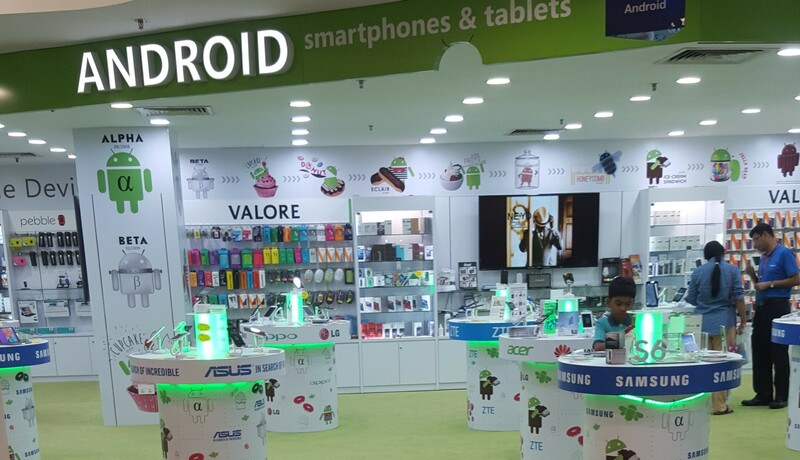 It was the go-to place when buying the latest technological gadgets, such as computers and cameras. I remember the very first computer in my house, an IPC MyGenie. It had a TV tuner which allowed you to watch the latest TCS dramas (as MediaCorp was known then) from the comfort of your computer screen. In an era before high-speed broadband Internet (or even Internet at all) or video streaming technologies, this was the next-best alternative. Of course, this very PC was purchased from Funan. In fact, when I look back, most of the subsequent PC purchases in my households have been made at Funan. Most recently, in 2012, I purchased a Samsung laptop from Challenger, which would accompany me all the way through university. Challenger’s flagship store at Funan. No article about Funan would be complete without a mention of Challenger. Challenger has been at Funan for as long as I can remember. It’s highly probable that Challenger was there since the very beginning. Challenger outlets are now ubiquitous across Singapore, but for a very long time, its Funan store was its only outlet. Only from 2006 did Challenger start rapidly expanding, beginning with its second outlet at VivoCity, which still exists till this day. Still, there’s no outlet bigger than the one at Funan. Occupying the entire sixth floor, it sells a wide variety of computers, cameras, game consoles, speakers, networking equipment, printers, smartphones, among others. It’s probably also the only Challenger store to sell bulky office equipment like tables and chairs. The circular store layout is such that you can walk all the way to the end, only to find yourself back at the beginning once again. The Funan outlet was also a place where Challenger dared to experiment. A few years back, Challenger tried making its Funan outlet run round-the-clock, which was shelved a year later due to a lack of demand. Wide aisles are a hallmark of the flagship Challenger outlet. What I loved most about Challenger Funan was that there’s just so much space. Unlike some of their other outlets, there are wide aisles here, and even experience corners where you could sit down and play a random Xbox or PlayStation game. Whenever I had pockets of spare time and was around the area, I would pop by Challenger, walk one whole round, to see if there’s anything new that piques my interest. Unfortunately, as Challenger has no current plans to reopen another flagship store, we can only enjoy it while it lasts. Sure, Challenger doesn’t offer the most competitive prices out there, but what it offers is the best tech shopping experience, bar none. Unless, of course, you enjoy squeezing with the crowds every three months at the quarterly IT shows. I’ll probably make a trip down sometime in June before it closes for good (and perhaps score some pretty good deals on clearance stock?). 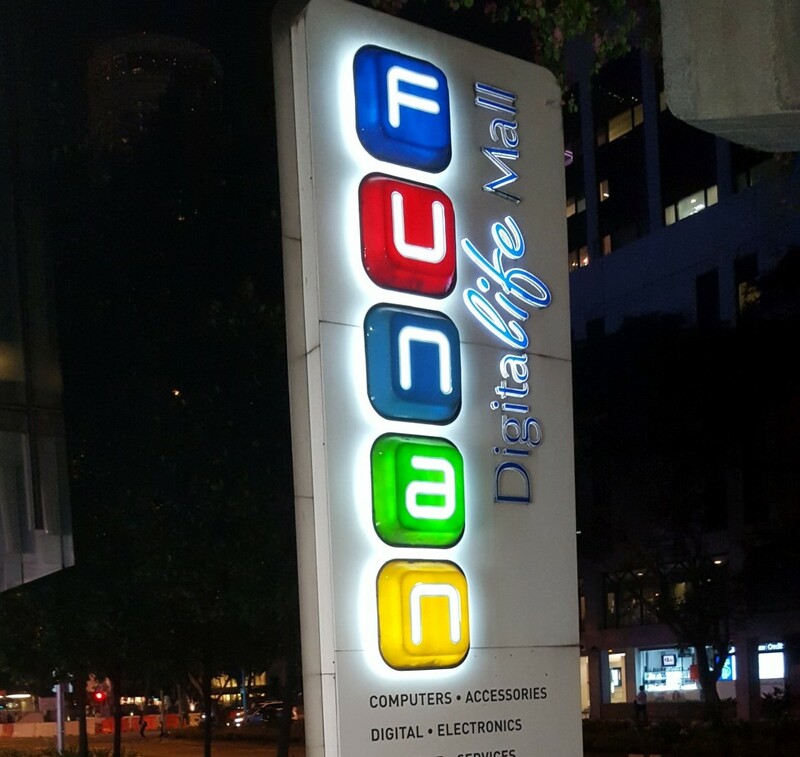 In 1997, Funan Centre was renamed Funan The IT Mall, a name it held until 2005, where it was renamed Funan DigitaLife Mall. At that point, Funan was probably in its heyday. Back then, there were several Battlefield 2 tournaments being held, and I remember participating in a couple of them at the atrium on Level 1. Those feelings of anticipation, nervousness, joy and sadness–I’ve experienced them all at Funan. I remember the Funan of 2005 as a place bustling with activity, at least during the weekends. It was also during this time where some more prominent IT retailers, like Fuwell, Cybermind and Laser Distribution, who had already established themselves at Sim Lim Square, ventured into Funan to open their second outlet. At this point, I thought that Funan’s future was shining bright. Apart from computers, Funan plays host to a wide selection of camera shops, including TK Foto, SLR Revolution and Red Dot Photo. I will fondly miss these shops when they’re gone, for these shops have provided generally good service to me over the years. 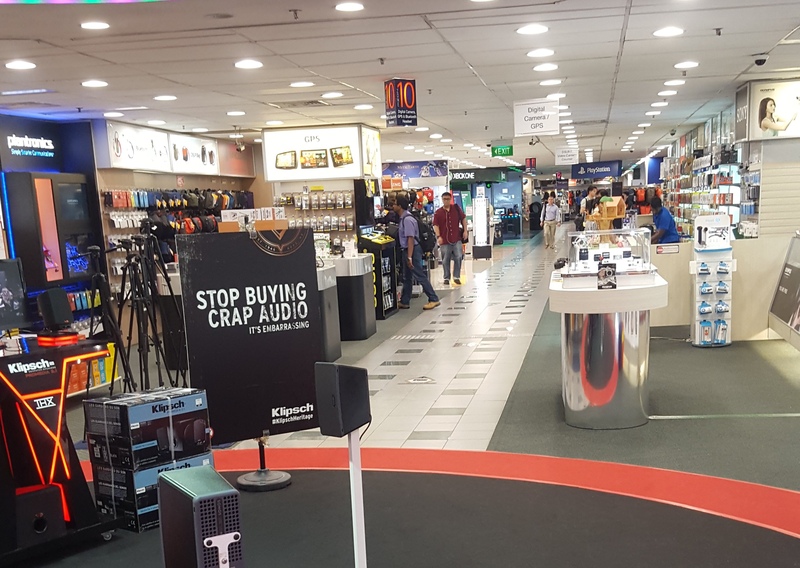 This is in contrast to my experience at Sim Lim Square, where some of the camera shops engage in hardselling tactics. There’s a Stationery Superstore on the second floor, which stocks a huge variety of office and home stationery, including things you will never find at Popular. On the same floor, you’ll also find a Sports Connection outlet, which sells possibly the cheapest Nalgene bottles in Singapore, as well as a Royal Sporting House outlet that stocks golf equipment. Funan also houses a respectable selection of food outlets. Apart from the Food Junction at Level 5 which serves decent food the last time I tried, there’s also Ya Kun Kaya Toast, Old Chang Kee, Pizza Hut, Old Street Bak Kut Teh, TCC, Coffee Club, and not forgetting KFC. Sure, most of these food outlets are also found everywhere else, but here you can still easily find a seat during lunchtime and dinnertime. Nary a soul on a weekday evening. As much as I would hate to admit it, Funan has seen much better days. These days, Funan is all but a ghost town. Even on weekends, crowds are thin, as compared to ‘hipper’ places like the nearby Capitol Piazza or Orchard Road. The atrium is no longer a place for the biggest tournaments or a showcase for the latest products; in its place are bazaars every now and then, most often peddling old sports shoes and travel ware–nothing remotely related to a digital lifestyle. Perhaps that is all part-and-parcel of an era where online shopping is mainstream, and where technology is found everywhere. For most of us, our technological needs can be fulfilled simply by popping into the nearest Apple store, or buying something off-the-shelf from the larger departmental stores. 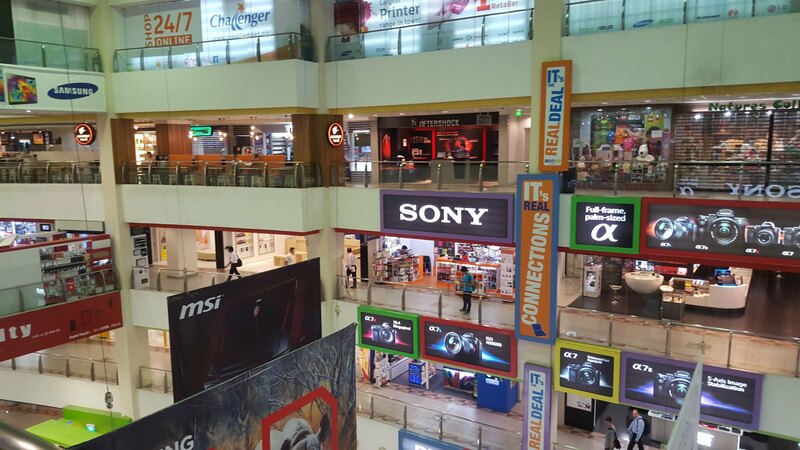 For the more technologically-savvy, you’d tend to buy online from Amazon or Lazada instead, where there’s a wider variety and the prices are more competitive, or just head into the lion’s lair, also known as Sim Lim Square. There’s little room for an in-between such as Funan to exist. Still, there’s a charm to Funan in its current state. It’s a place where you can sit down for the entire day at a coffee joint, and not worry about being chased away because you’ve been hogging seats. It’s a nice place to be in if you need a break from the hustle and bustle of the city while still remaining in the city itself. I imagine that if you’re a tourist, it would also be the perfect place to take a break after exploring the museums and historical landmarks in the vicinity. During a recent New Year’s Eve, I spent the evening at the Mind’s Cafe outlet at Funan with some friends playing card games (like Funan, Mind’s Cafe has been better days too, but that’s an article for another time). Looking back, it was the perfect place to be on a New Year’s Eve, away from the crowd, but still close enough to the action. We left at around 11pm that night, just in time to head towards the Fullerton to catch the fireworks. Sadly, that’ll be an experience never to be repeated again. So long, Funan. You will be missed.